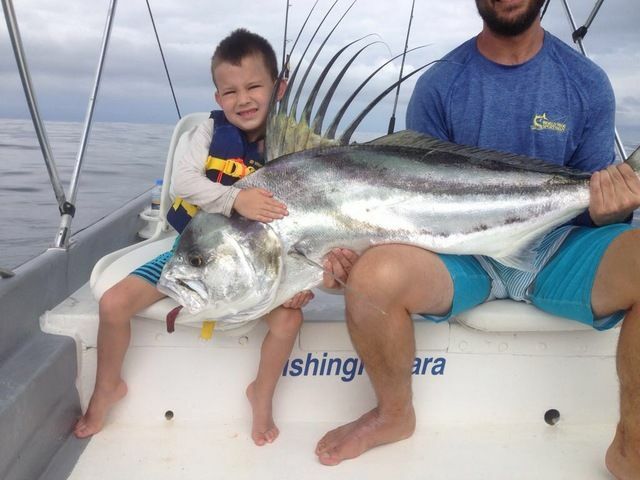 Brendan Chenowith brought his sons along for a great day of action the 20th. 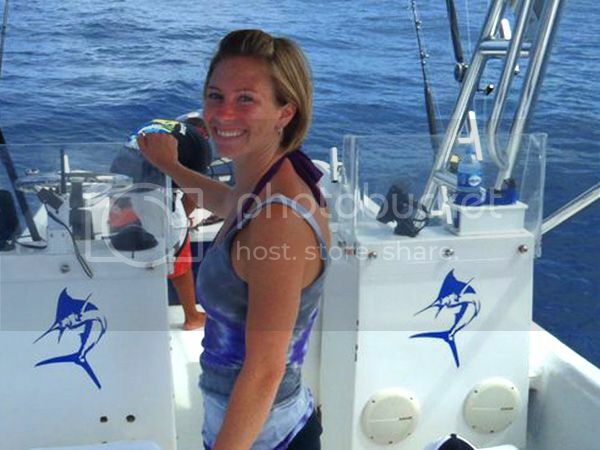 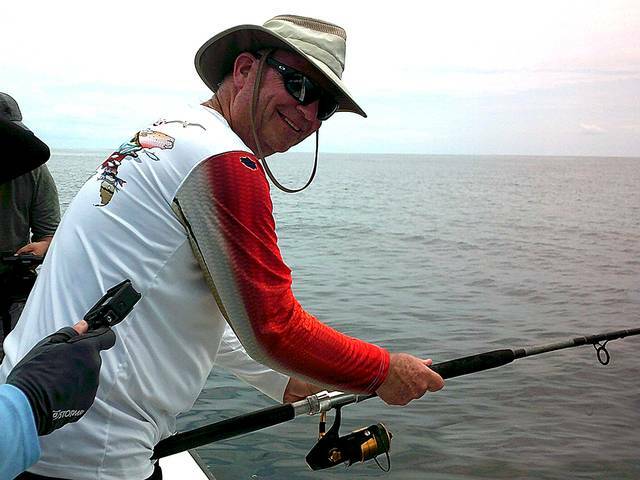 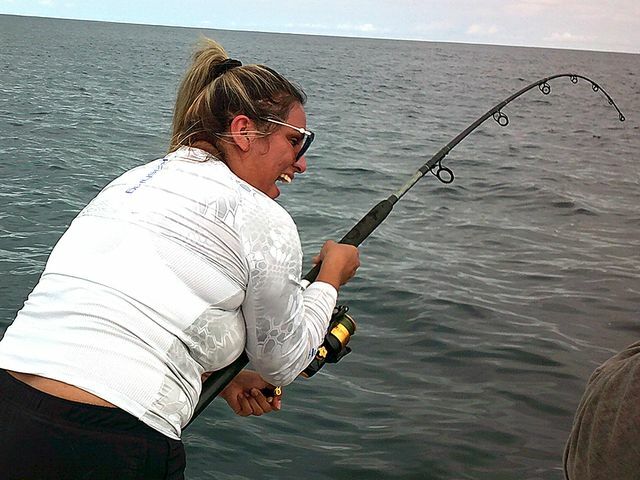 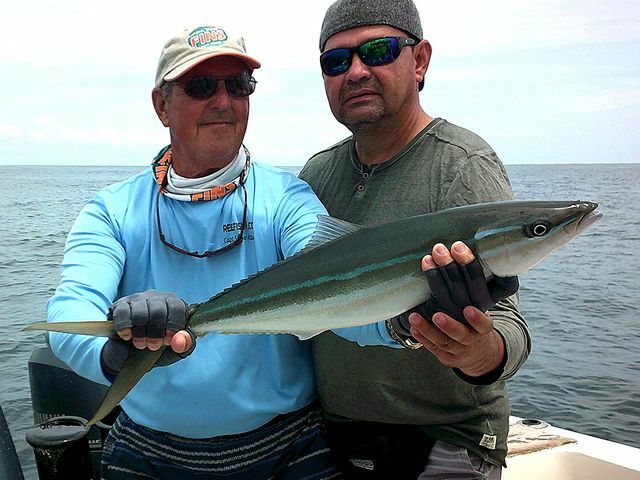 They bested some blue water billfish and also deployed the flyrod for tasty treats. 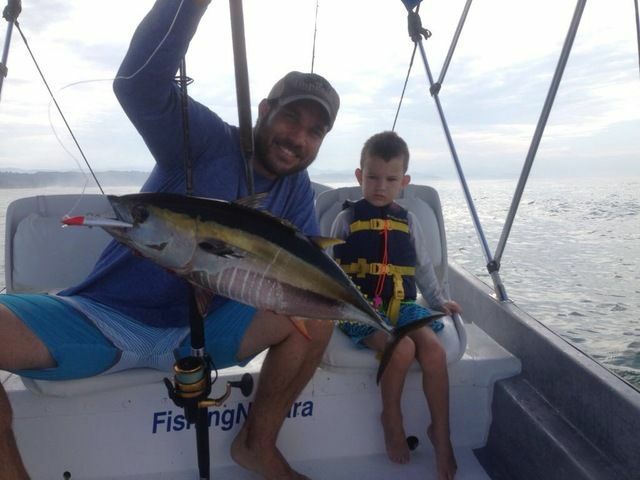 We had two great days with Alex on the Harvester. 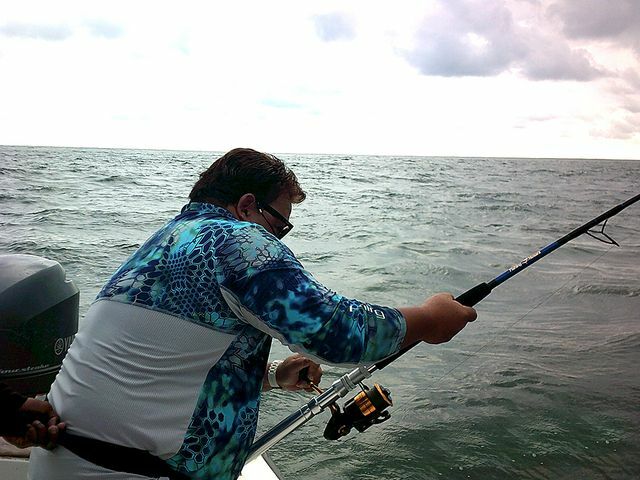 Alex put in a lot of effort to get us fish on the fly rods. 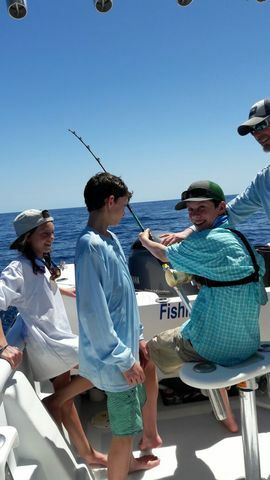 He also did a fabulous job making our kids feel like they were the center of his attention. 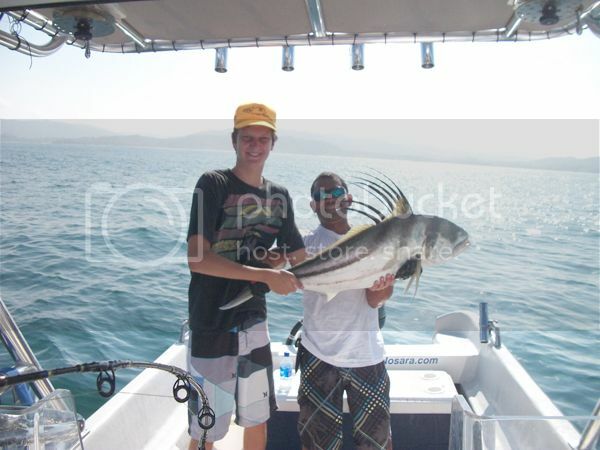 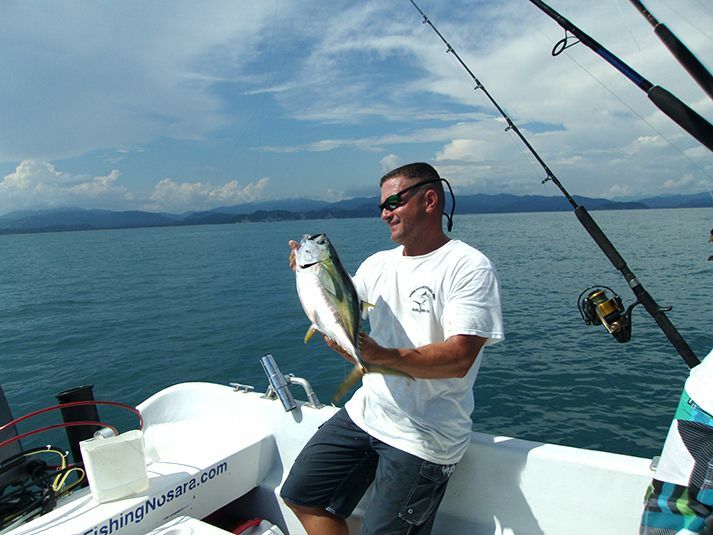 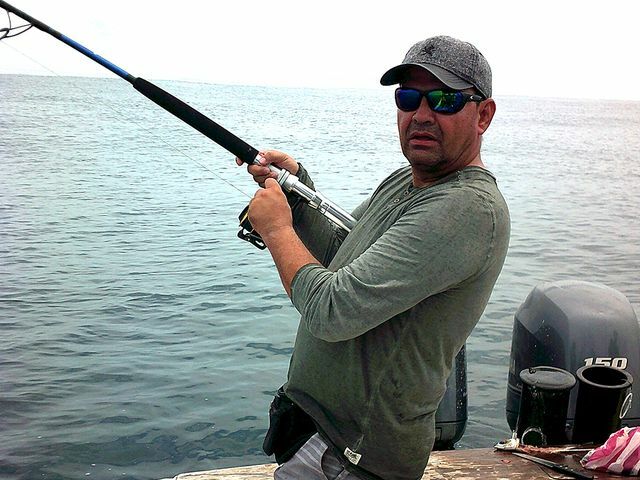 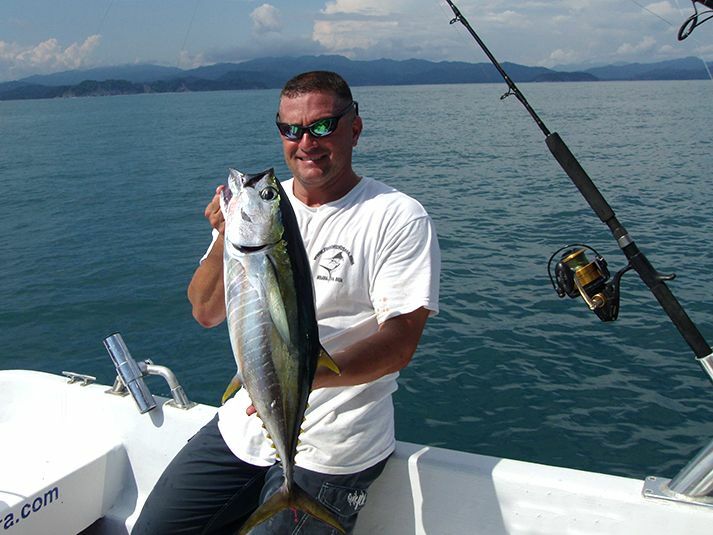 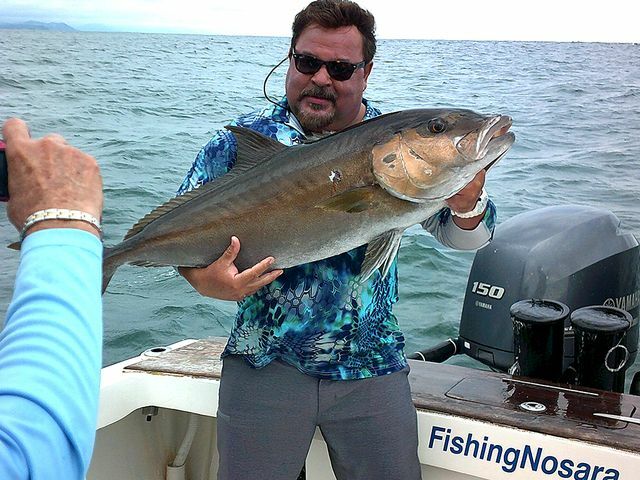 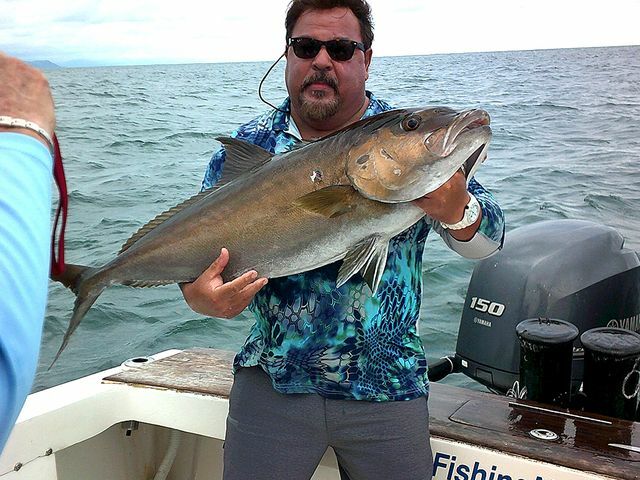 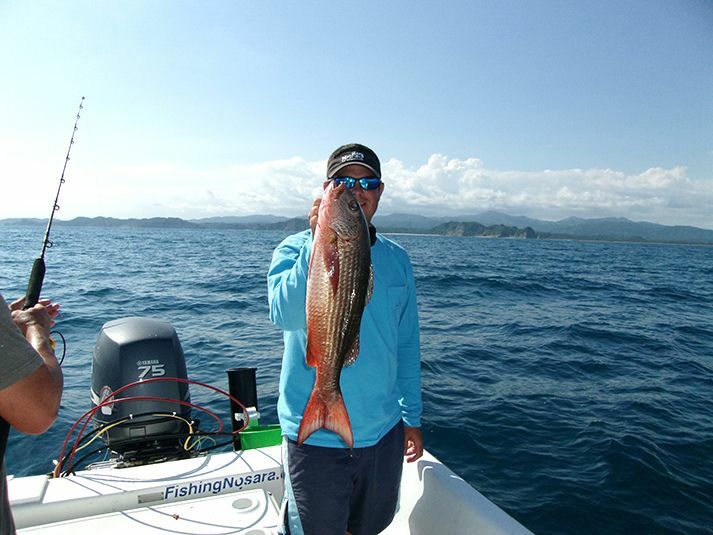 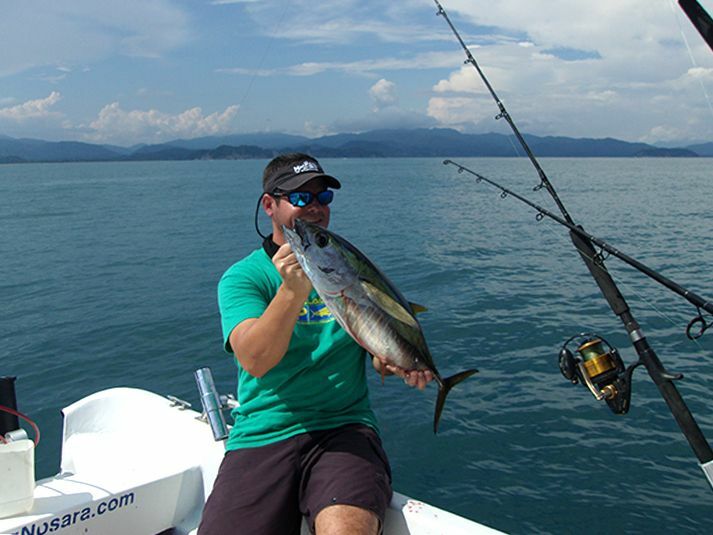 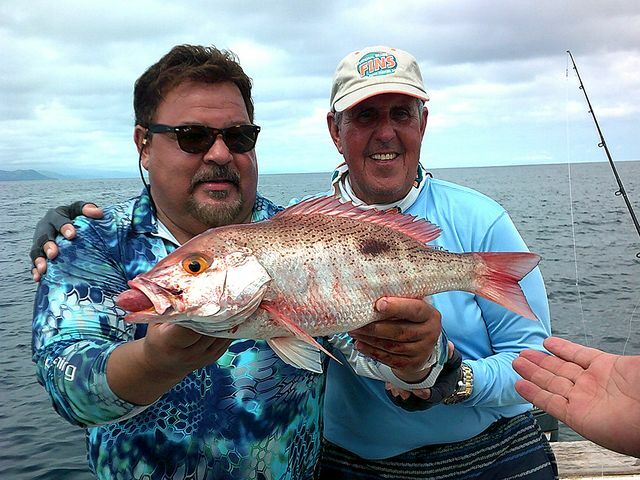 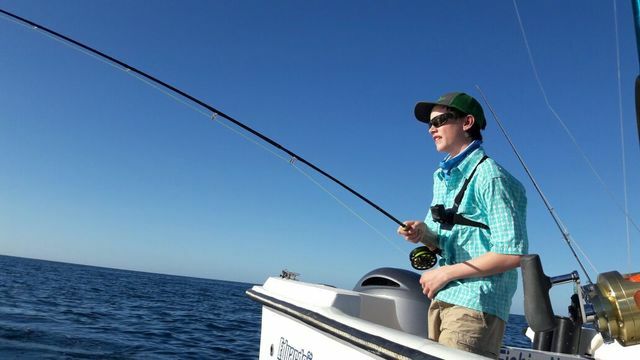 His willingness to share his knowledge of the fishery taught us a lot about blue water and inshore fishing. 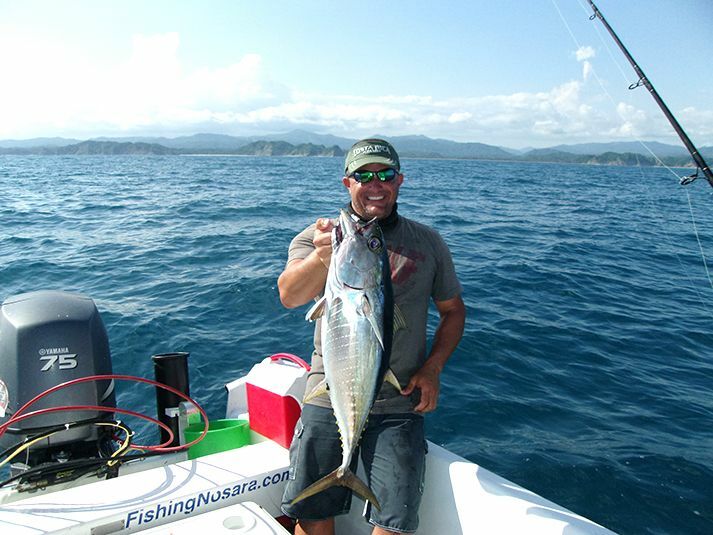 We all came away from our experience wishing we far more time to spend in the Nosara area. 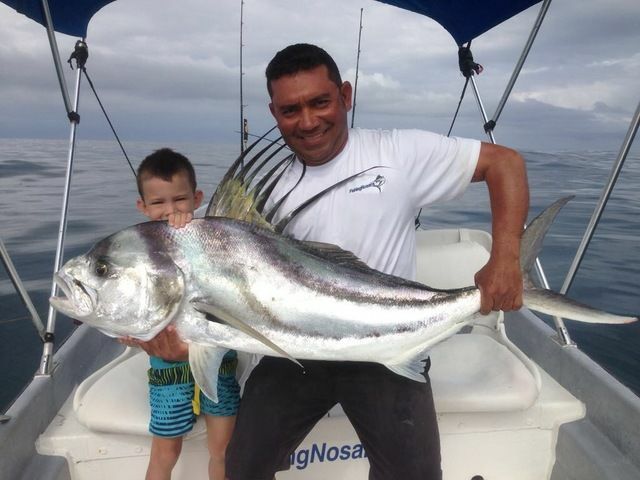 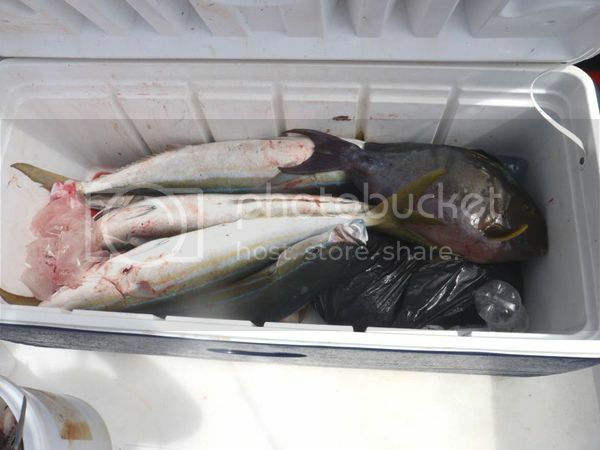 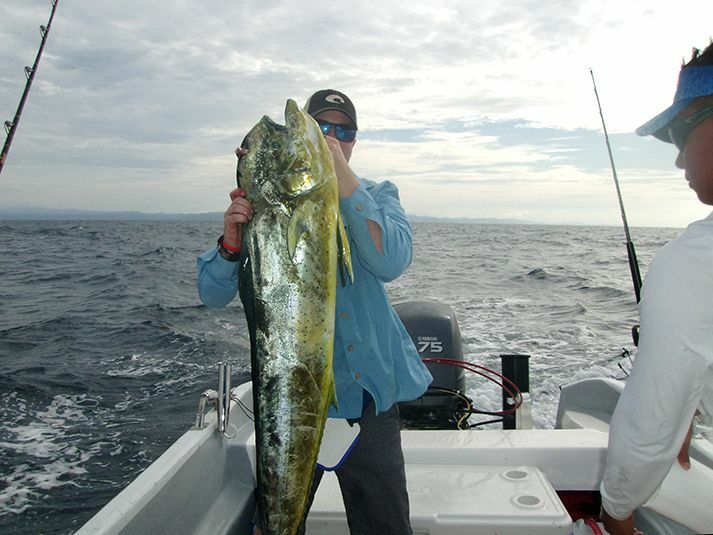 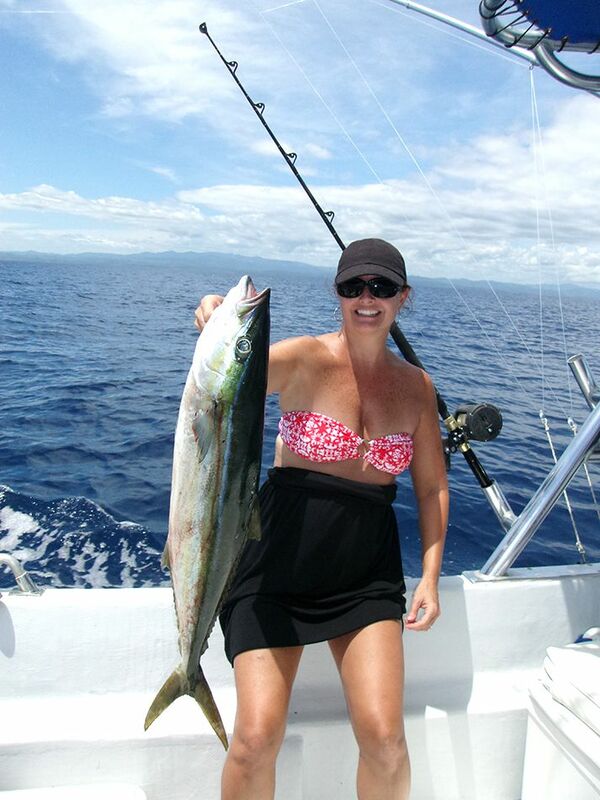 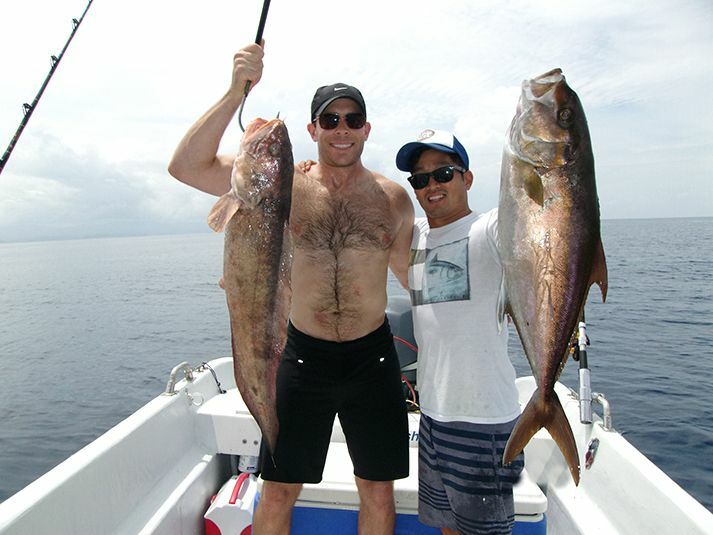 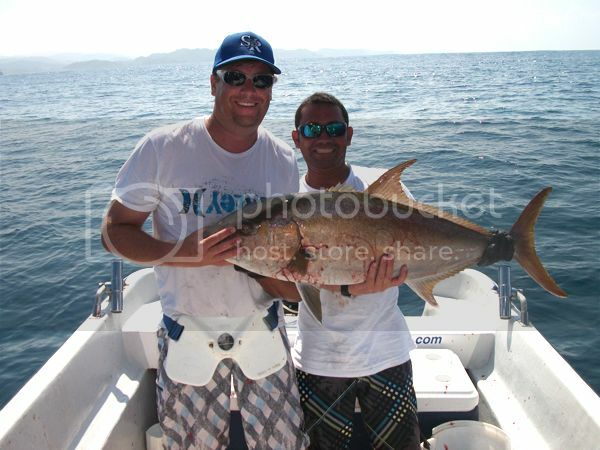 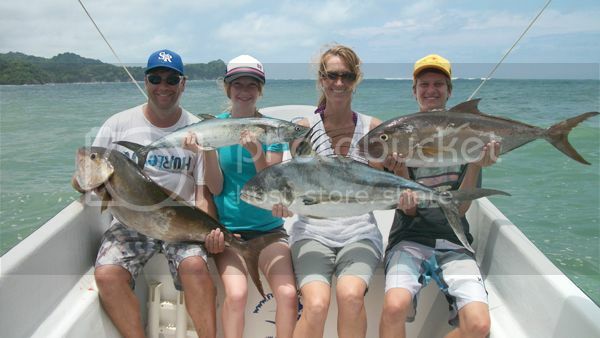 They also brought home some filets thanks to this Yellowfin Tuna and big Rainbow Runners. 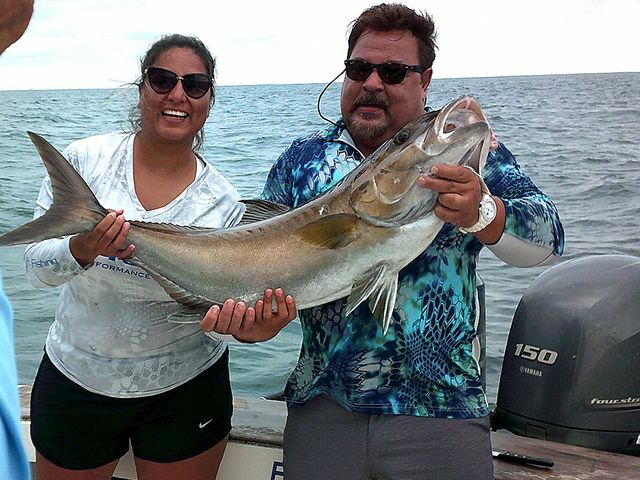 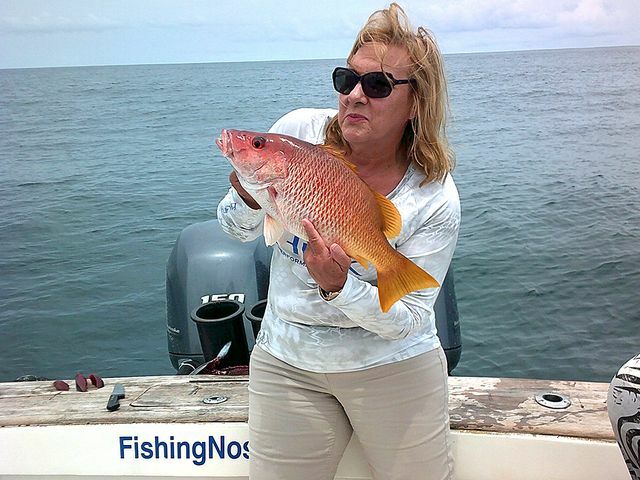 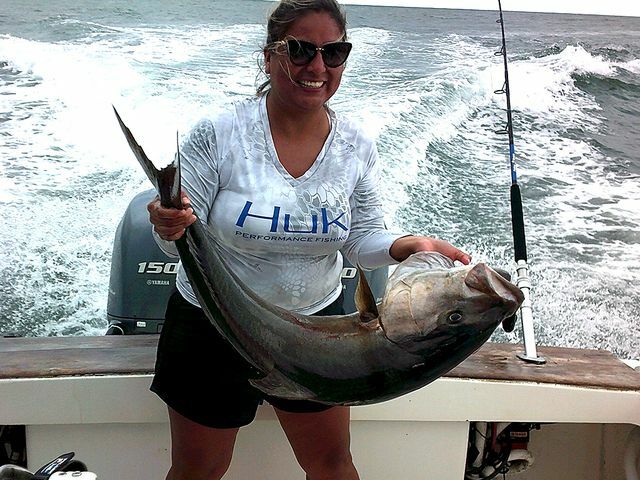 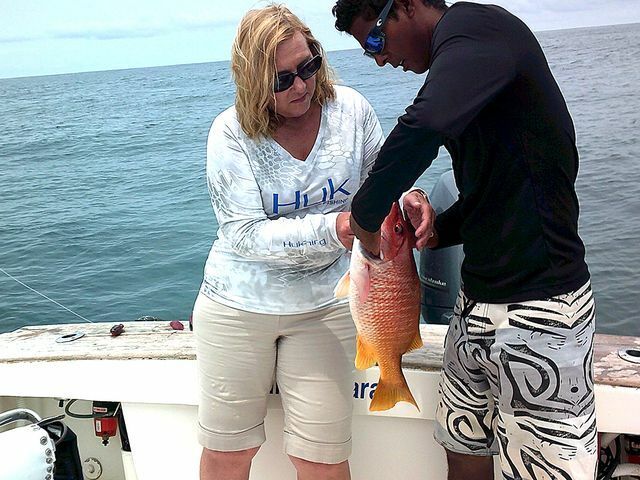 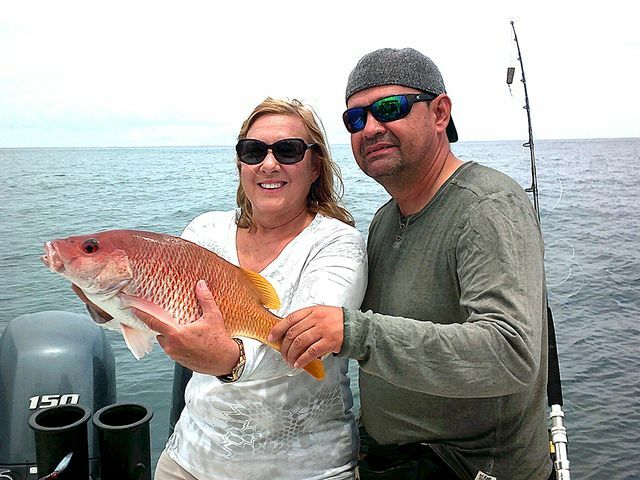 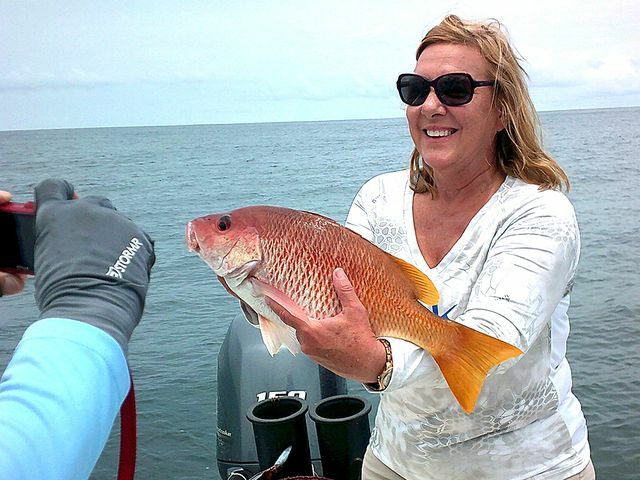 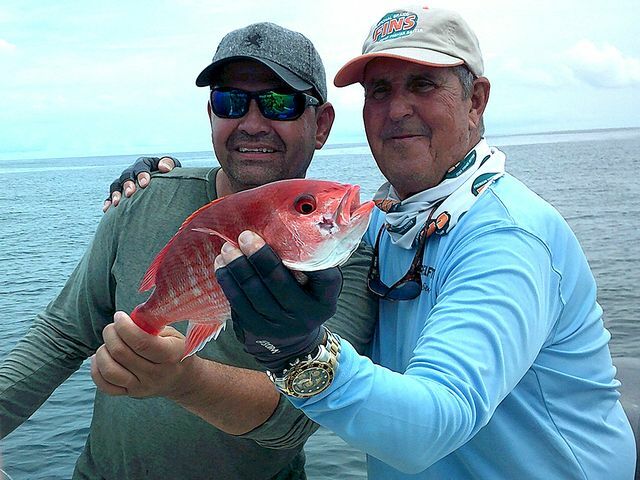 After two solid days of offshore billfishing, the Captain Sergio group stayed inshore with clients John Martinez, Judy Martinez, Jerold Long, and Christine Long. 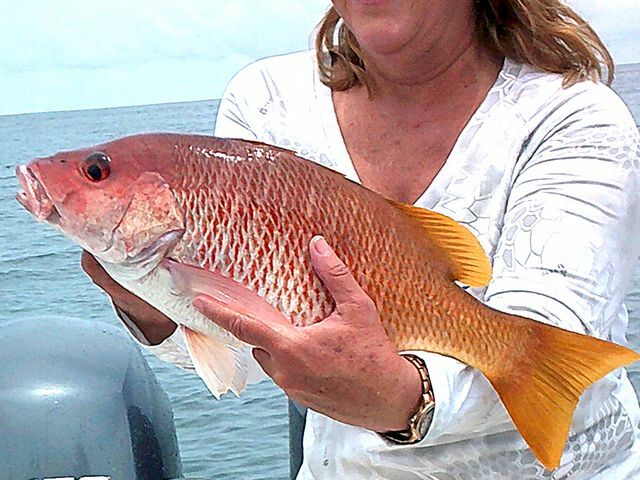 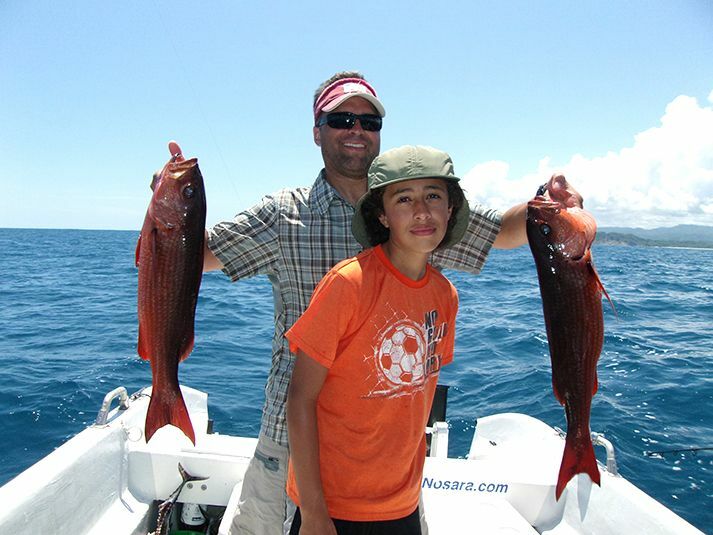 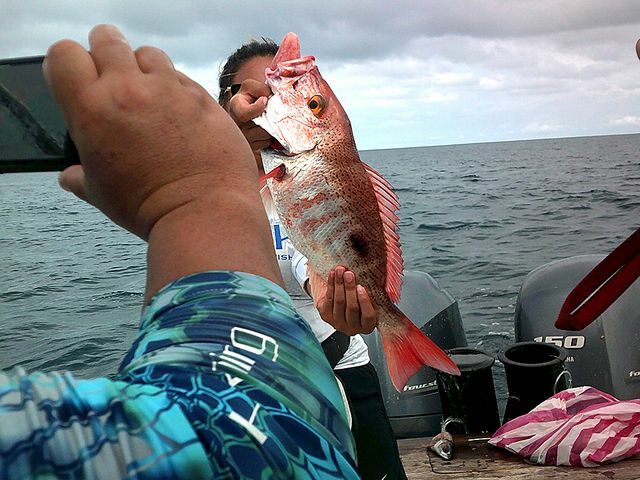 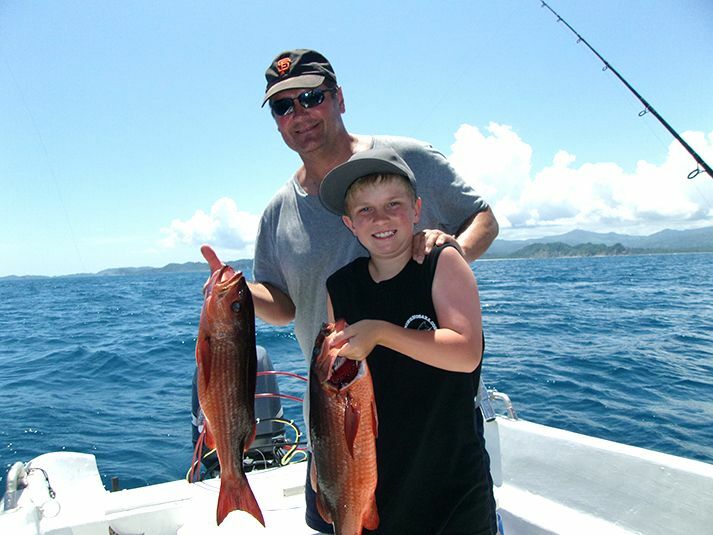 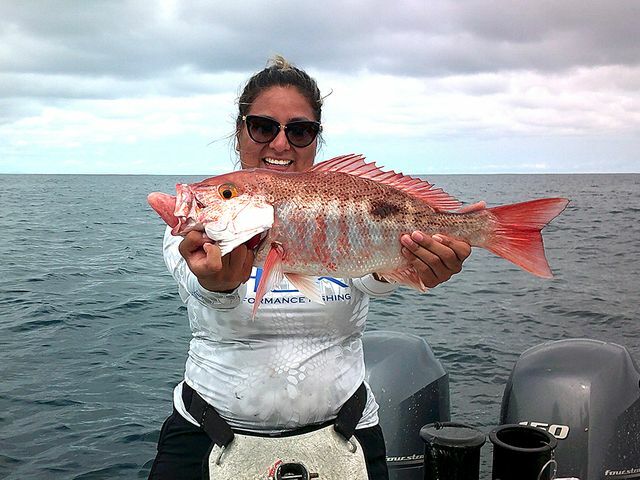 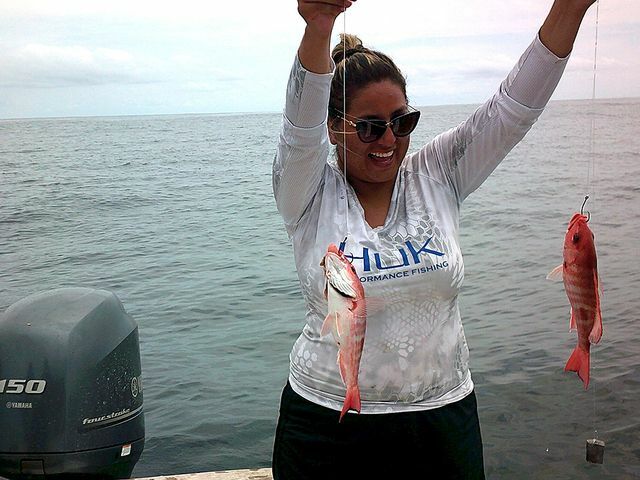 The strikes were constant over the eight hour trip with 13 Snappers caught along with other fun fish. 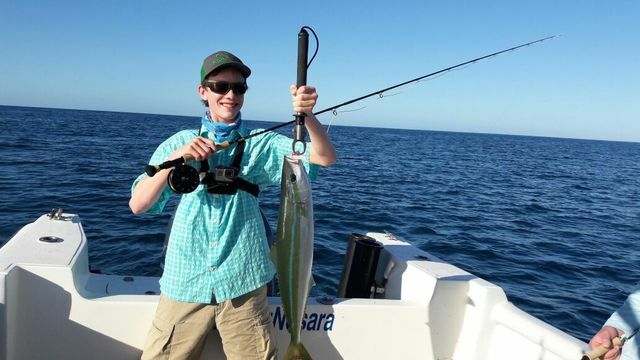 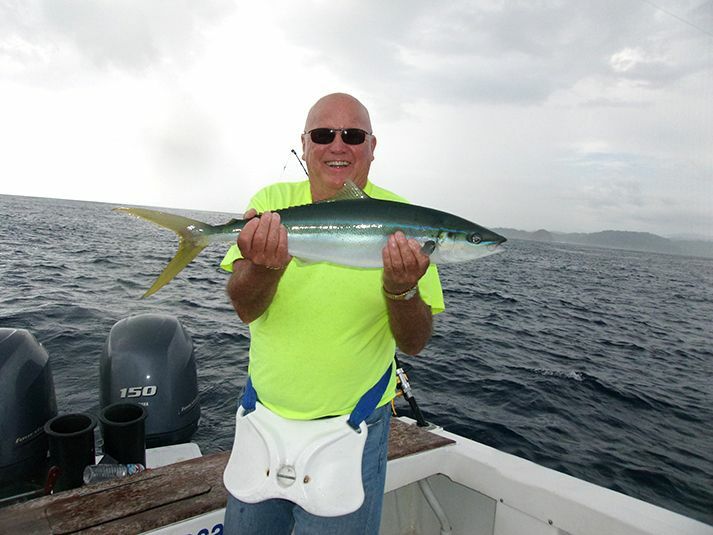 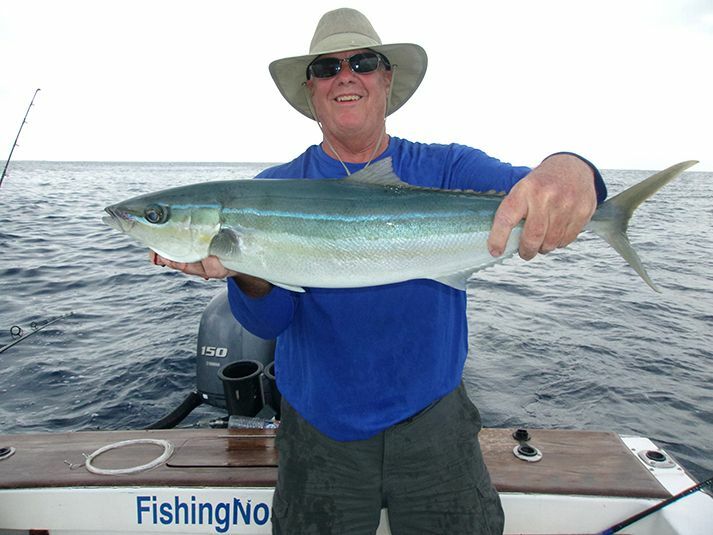 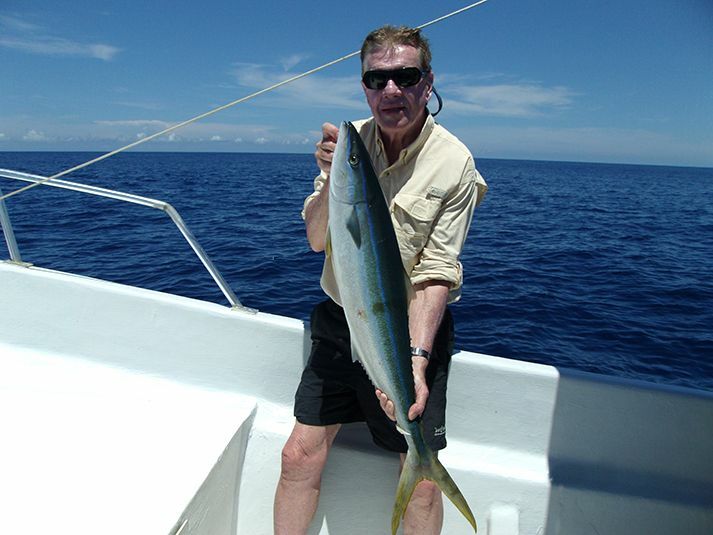 This nice-sized Rainbow Runner is certainly a tasty treat. 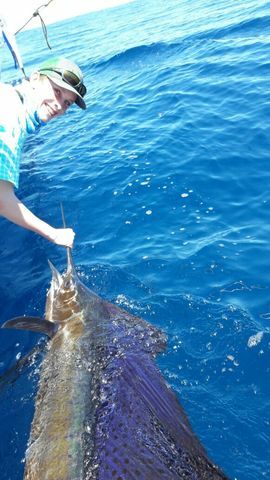 Everyone lined up to take a picture with this beastie. 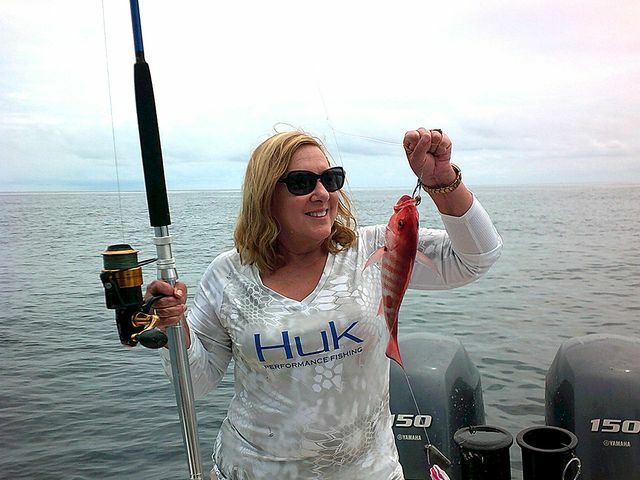 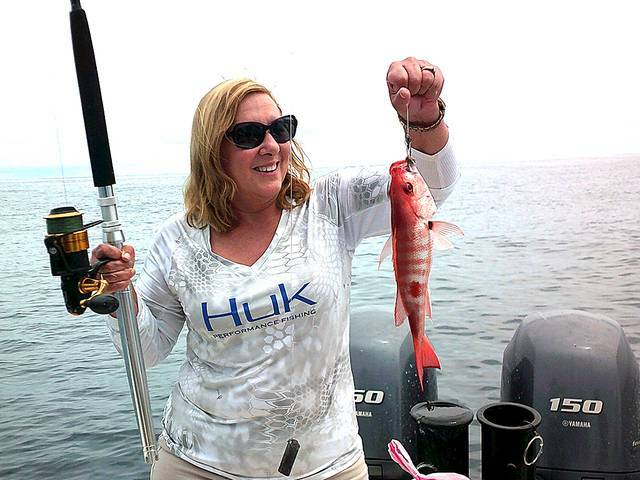 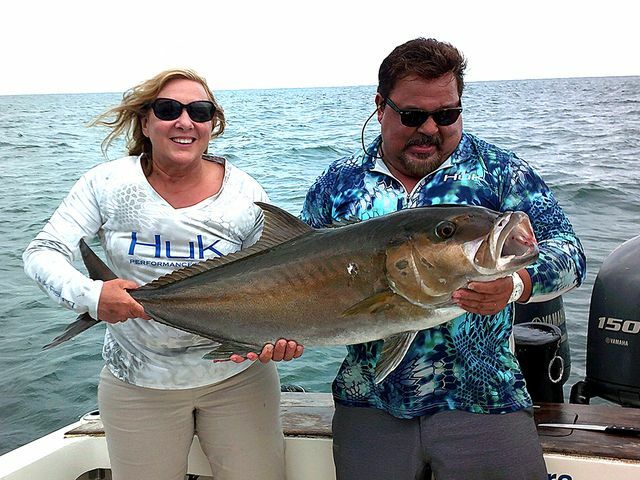 Another great trip on the Explorer on October 16 for clients Leann Lewis and Greg Shaddix. 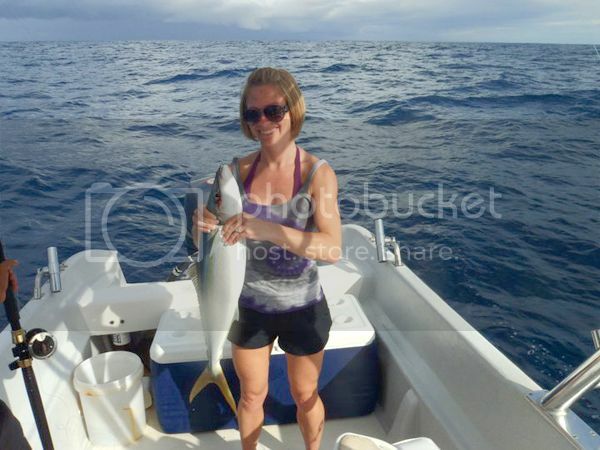 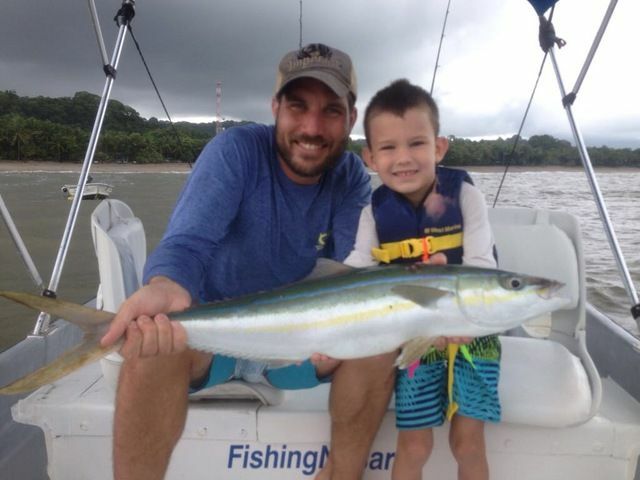 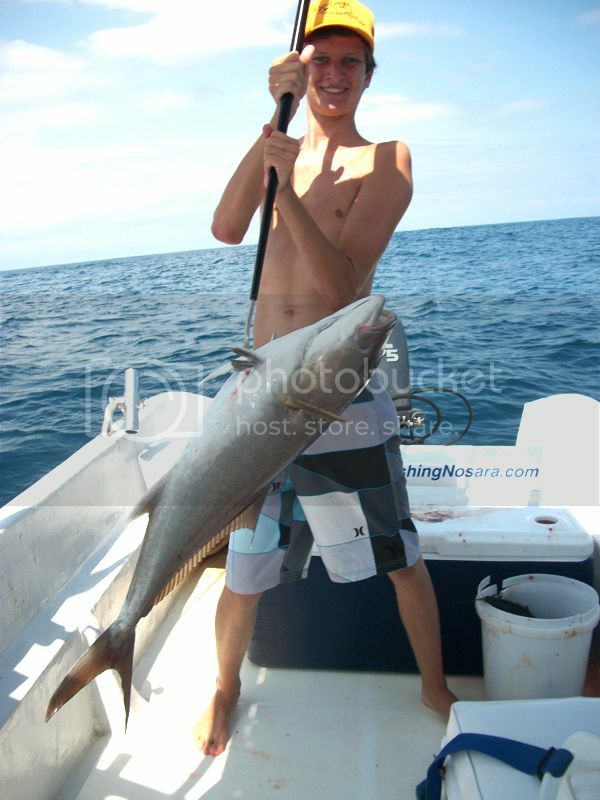 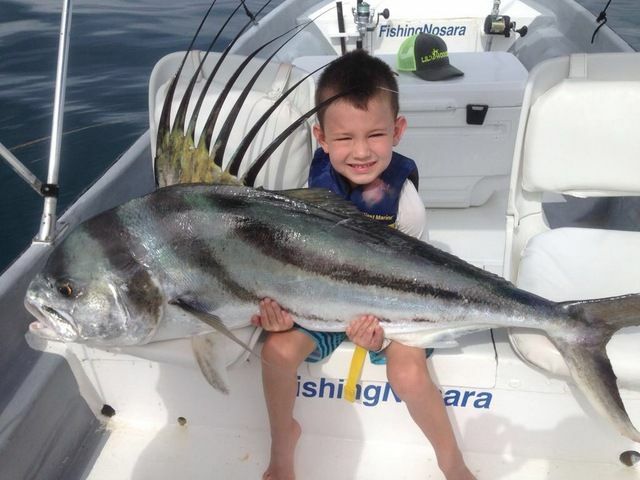 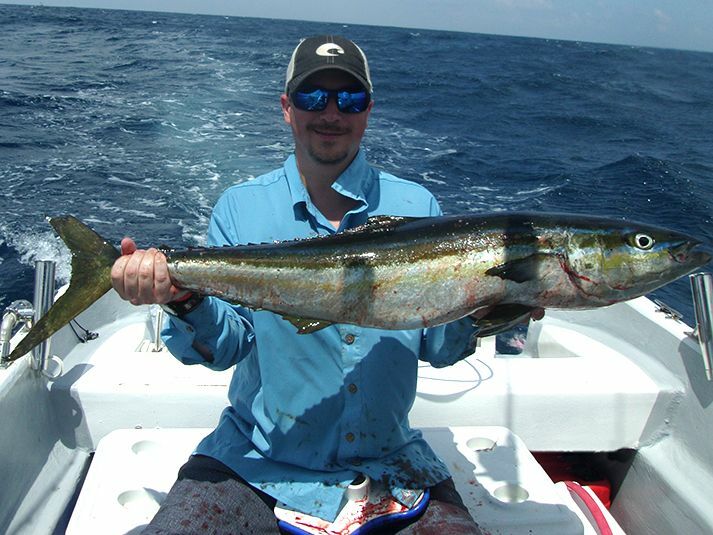 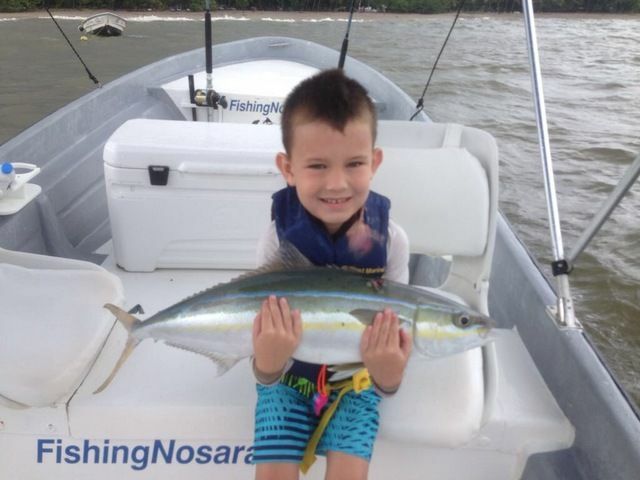 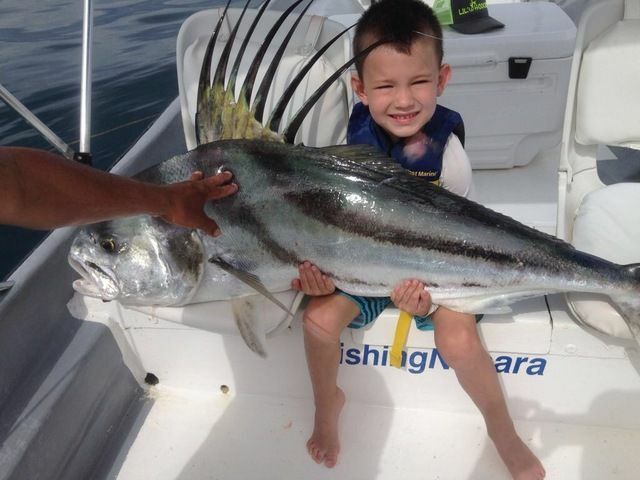 They rounded out their haul with this giant Rainbow Runner…seriously, these things never get this big! 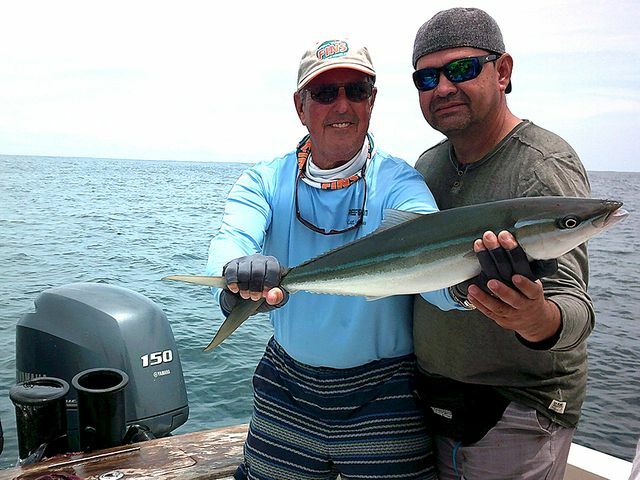 Sergio’s group stayed hot on June 9! 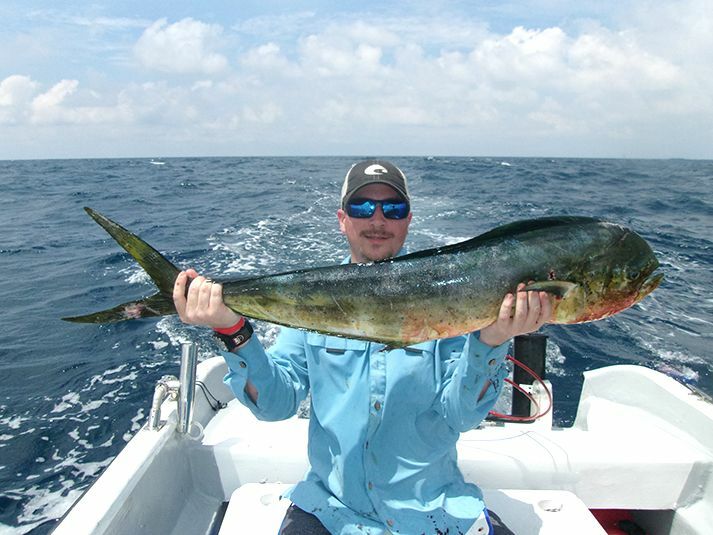 The Wanderer and Discoverer seized upon a bait ball frenzy near shore scored a ton of fun-fightin’ Rainbow Runnner, some with decent size to them. 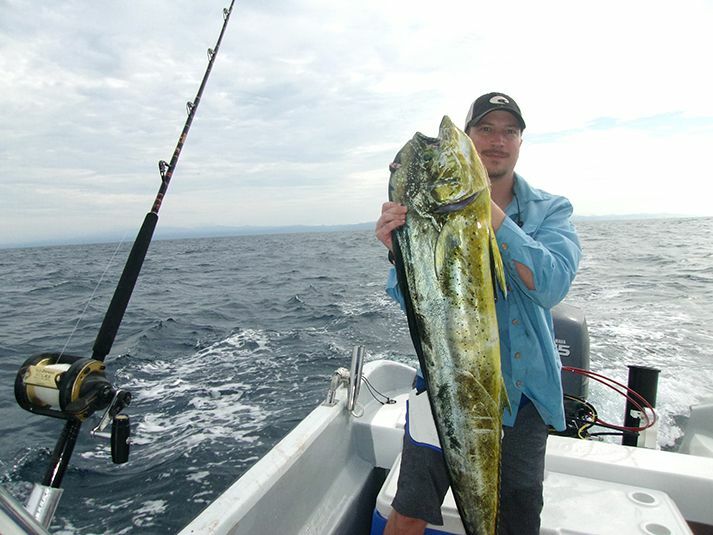 The big one of the group came late in the day as both boats were just about to pull up anchors and head for home…goes to show why you always leave a bait in the water, even when your are packing up! 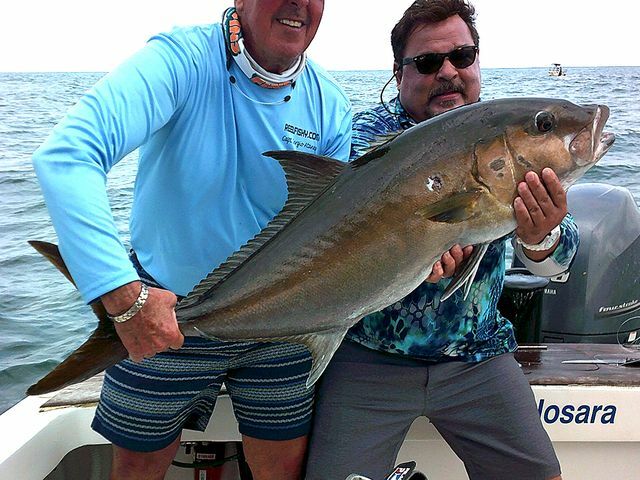 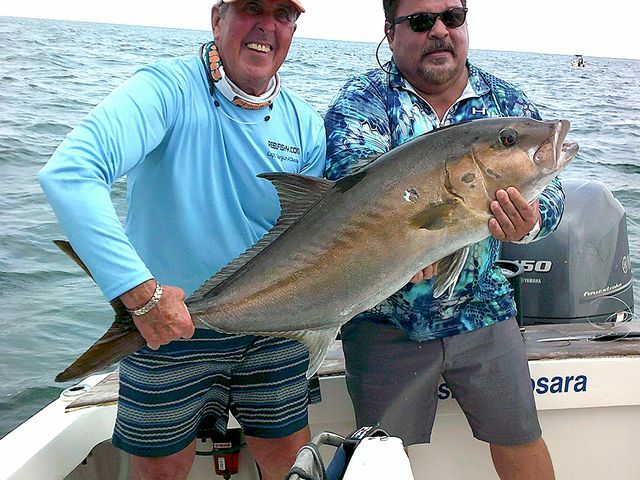 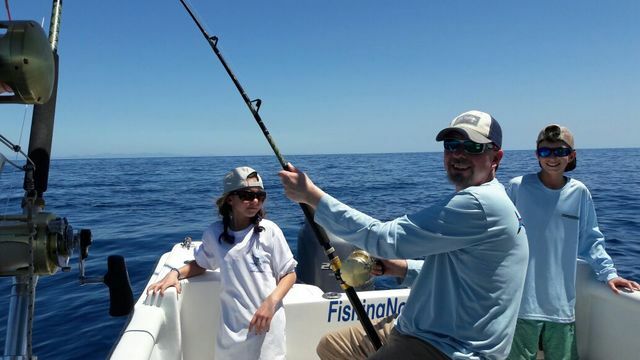 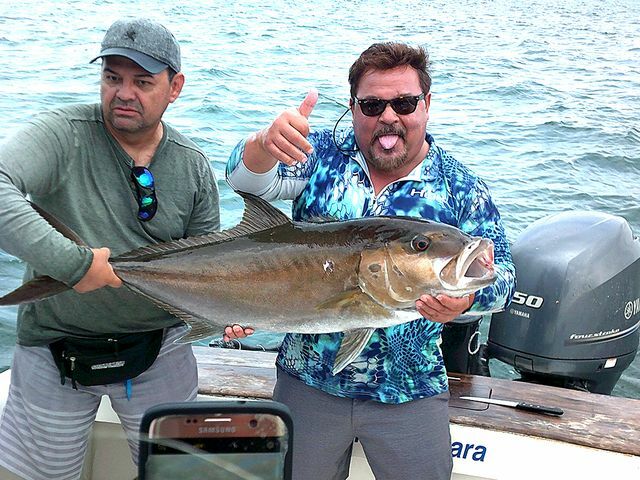 After several trips on the Wanderer, Rick Egan made his final lap around our fishery on August 5 hoping to cap off his trip that has already included great bottom fishing action and numerous Sailfish releases. 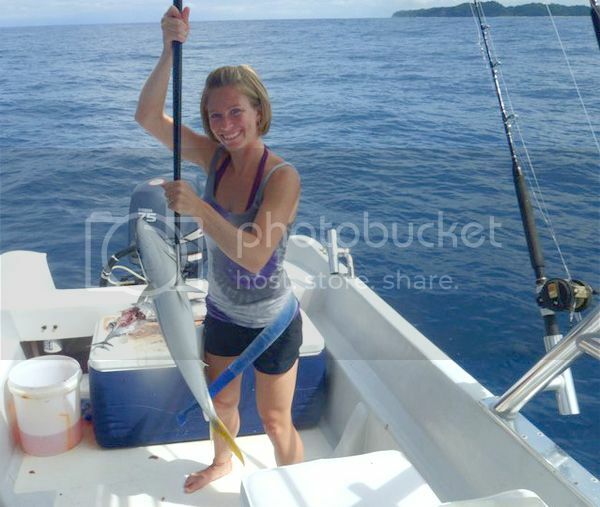 The Yellowfin Tuna have been all over the recent fishing reports, however the Explorer always seems to have another trick up her sleeve. 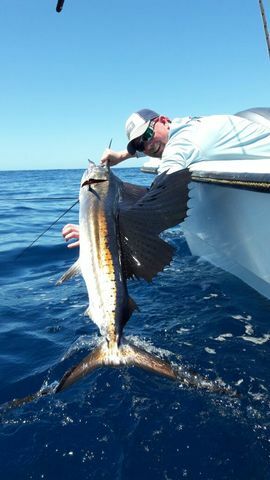 Captain David stumbled upon a hot spot of the elusive Rainbow Runners this morning and with newlywed clients Jennie and Johnny on the reels, they piled the fishbox to the brim with 10 of these tasty morsels. 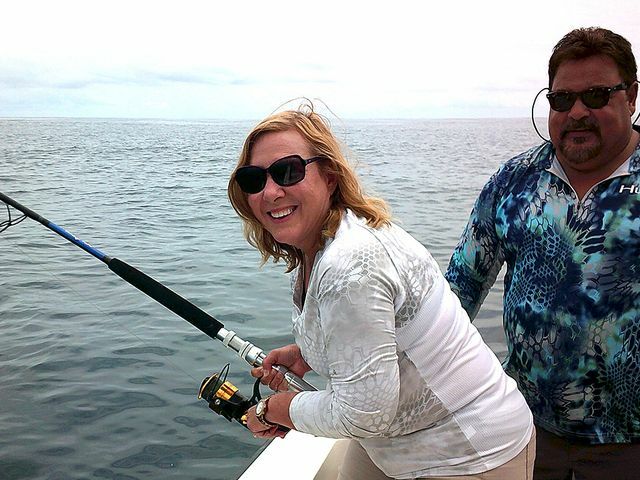 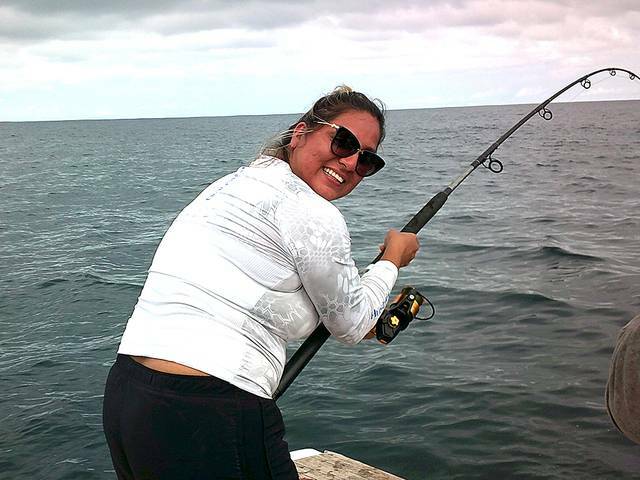 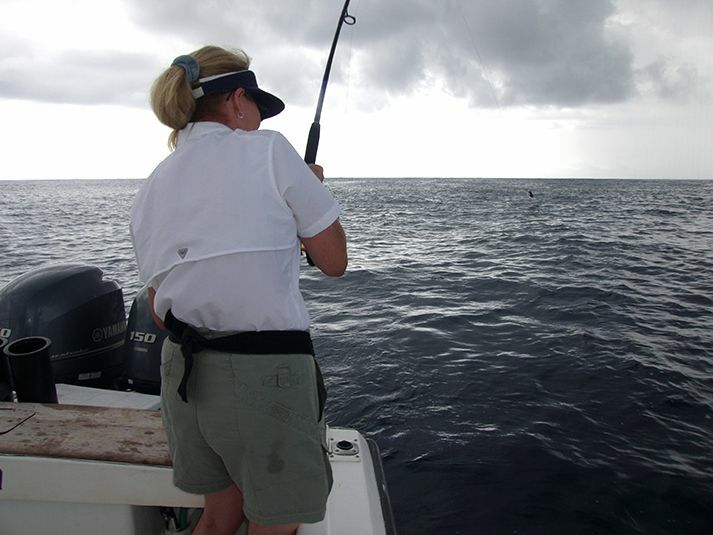 Notice that while Jennie has the rod doubled over, Captain David has a firm hold of the fighting belt in one hand and a white-knuckle grip on the 3 inch. 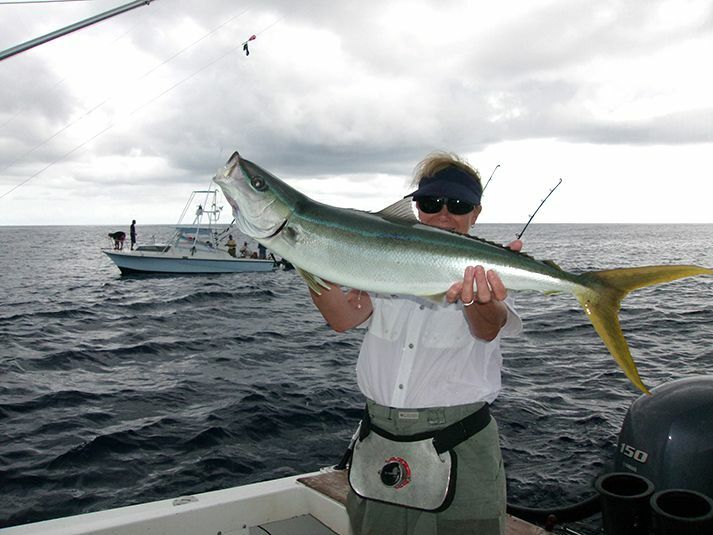 Stainless Steel superstructure of the Explorer. 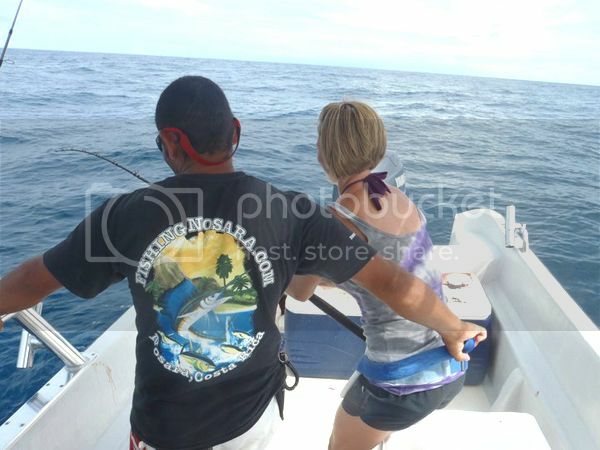 Without this chain of strength, something would have been swimming away (either the client or the fish). 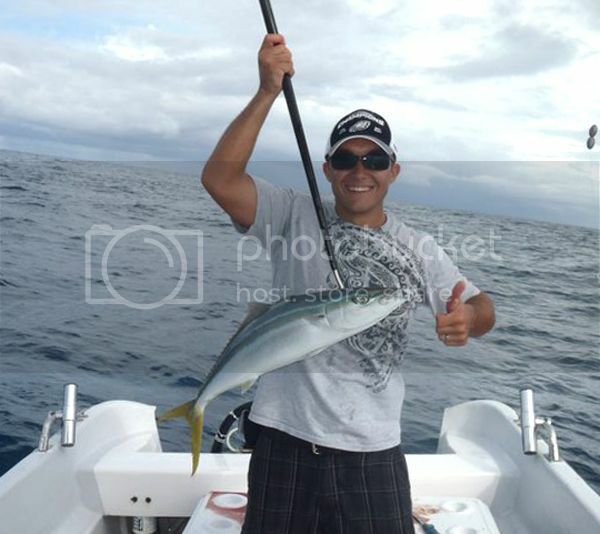 Great job Captain David and congrats to the bride and groom. 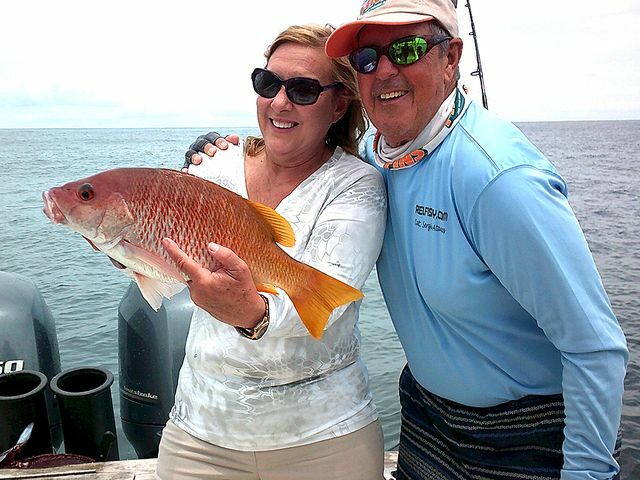 May the ‘Pura Vida’ spirit stay with you for all of your years together!